This looks like a great gift for young people getting settled in their first apartments. Thanks for the heads-up. What a fun book. 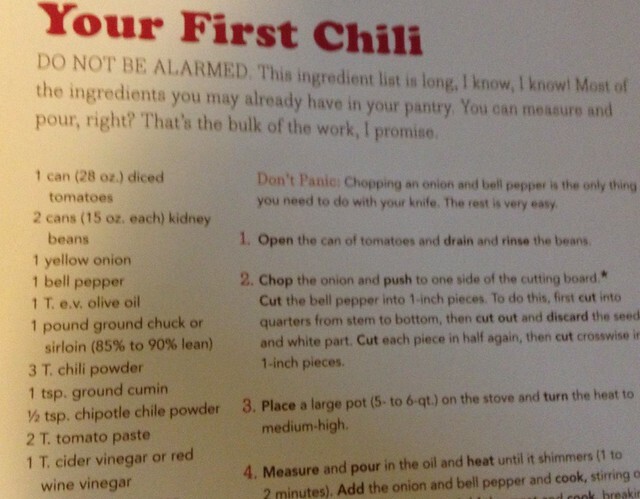 I like the motivation for the chilli too- yes everyone can do that. That looks fun! What a great Christmas gift for a beginning cook! Perfect for young people striking out on their own or newlyweds lacking in skills! I like her sense of humor which probably comes in handy married to Jerry! I can imagine that there is quite the audience for this book, though, not at my house. 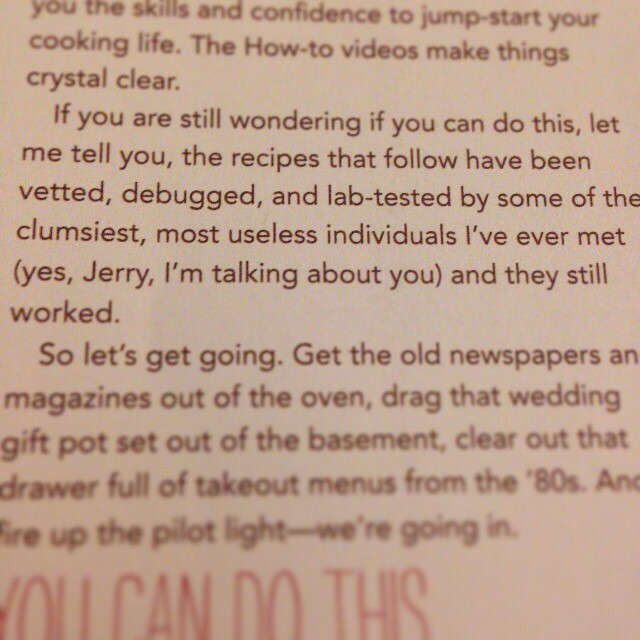 I started cooking during girl guides as I wanted those badges and haven't stopped. Both of my kids grew up having home cooked meals and quickly realized that's what they wanted when they left home. Son sent messages all through college asking how to cook certain items. He does very well now as long as there is meat involved. Daughter has a different approach adding one casserole at a time. Thanks for introducing me to this book, it would be a great gift book. 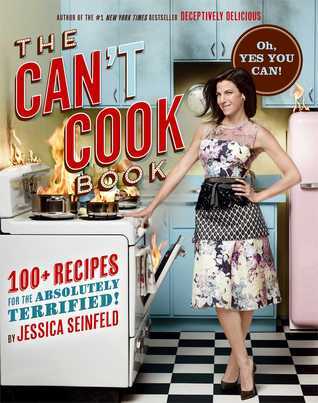 What a great premise for a cookbook - I know a couple of people this would make a great Xmas gift for.